Pictured with Optional Print Down Bar. 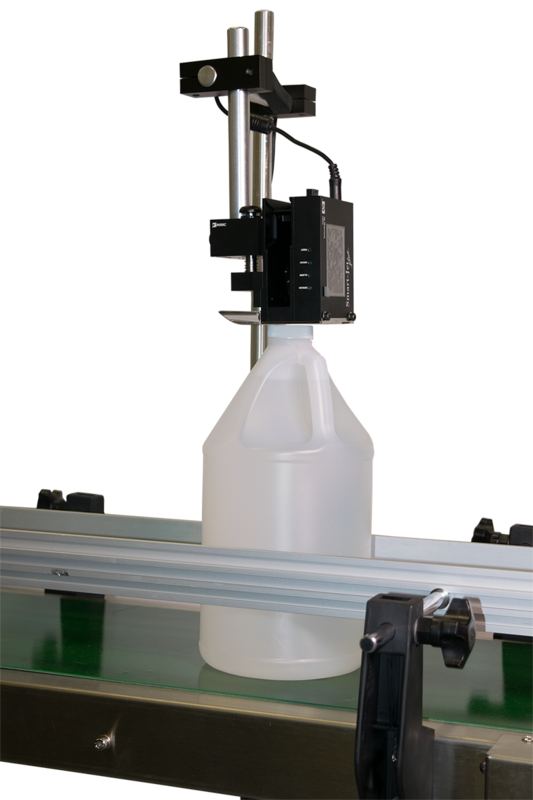 We offer several solutions of the conveyor with ink jet printing and build to order. Call 770-554-1187 or email to discuss. Everything you need to be up and running within an hour of delivery! 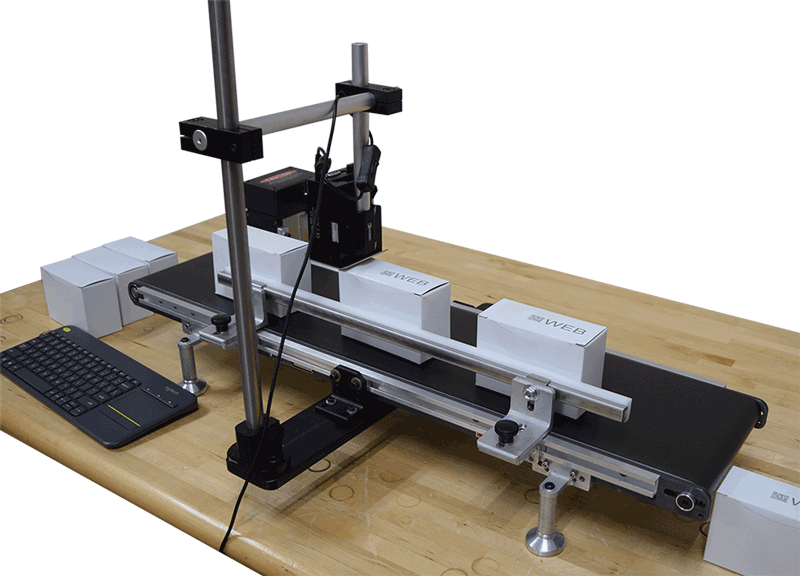 The Total Solution includes the Smart-Jet Printer, 2 - black porous ink (non-porous available) HP cartridges, custom made printer mounting bracket, and a motorized 8" x 36" belted conveyor. 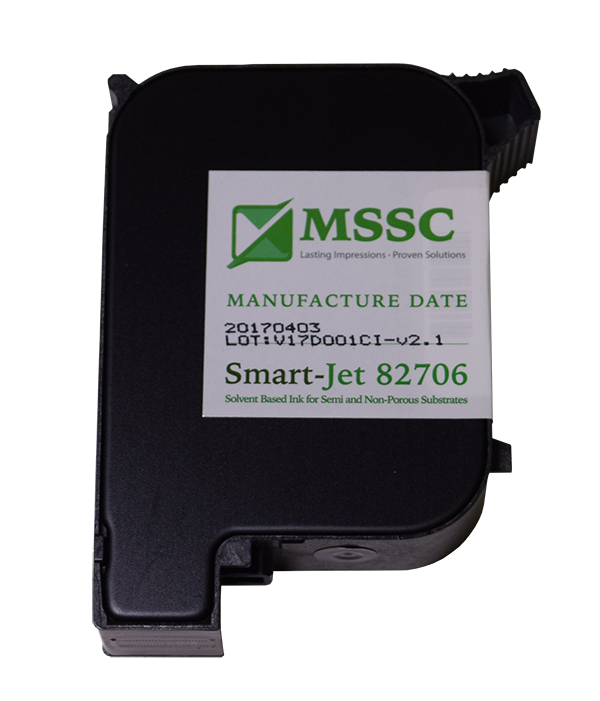 All you will need is electrical power, and an operator to start date/shift/identifying your products. More characters per line, up to 150 characters depending upon size. Bluetooth model also available. (Android only). 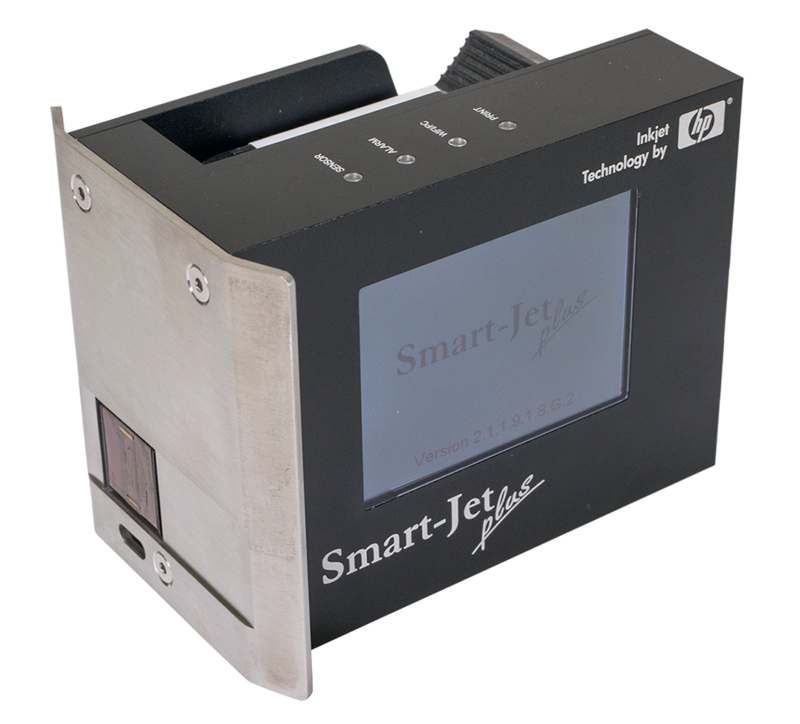 Smart Jet Plus offers a wireless keyboard and larger display screen. Porous and non-porous cartridges also sold separately. Smartphones and tablets using Android and iOS devices sold separately. 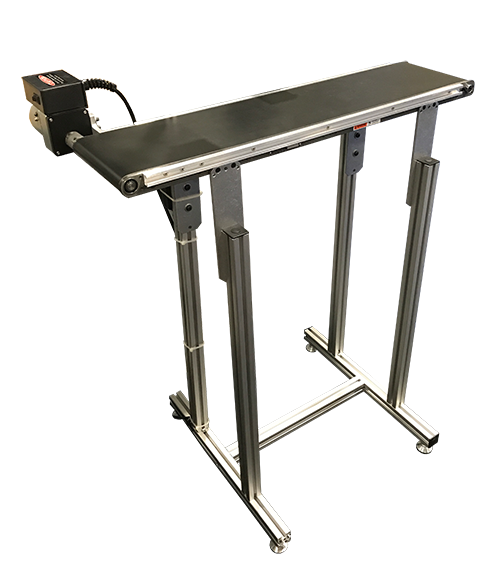 The conveyor and printer require 115v electrical power. We recommend having surge protection for the printer.